Any takers? Simply leave a comment below. This contest is open to U.S. and Canadian residents and will be open through Sunday, September 30th. THIS CONTEST IS NOW CLOSED. THE WINNER, as selected by Random.org, IS #3 - WORD LILY. Congrats! Ooooh, yes!! I was actually considering buying some of those books for my oldest daughter's sixth birthday in October! Thanks! 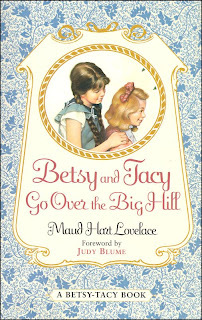 My 6 year old just finished listening to the first Betsy-Tacy book from the library last week. She loved it. After your original review of these books, my 10 year old checked out several from the library. Glad you let us know about them. I want to read these! 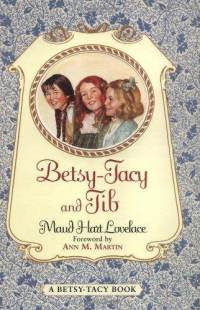 My daughter has enjoyed a couple of the Betsy Tacy books. My daughter has already read these from the library, but I'd love to have them on our shelf for her to read again and again! I really enjoyed these books when I was younger. If you ever come out this way, there's a Betsy-Tacy museum just an hour or so away from here in MN.